Stork the Freezer ~ A Freezer Meals Shower for New Moms! Stork the freezer!? Do you know someone that is expecting a baby soon? Want to give them something you can be sure they will use, something that will show them how much you support and care for them? Stork The Freezer Baby Showers are gaining in popularity – both for the new mom and for moms with a few toddlers and older kids running around too. There are a couple ways you could do this, and both ways end with you being pretty much the coolest Baby Shower host ever. No doubt! MyFreezEasy will make it so simple for you to plan and host the perfect Stork the Freezer Baby Shower and Party!!! 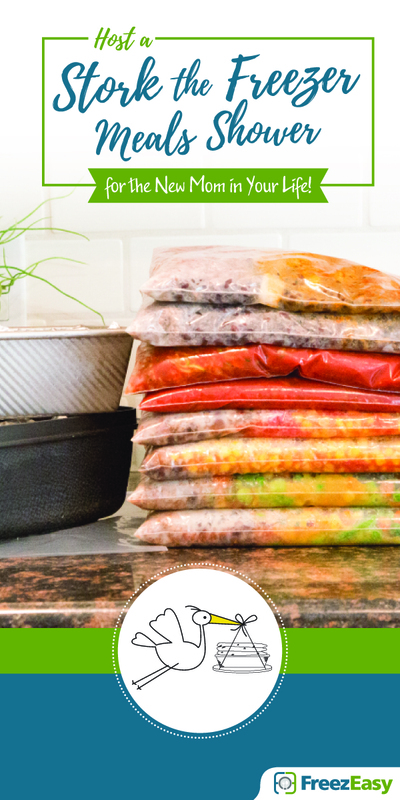 Tap here to browse the Stork the Freezer Plan, or check them out below!